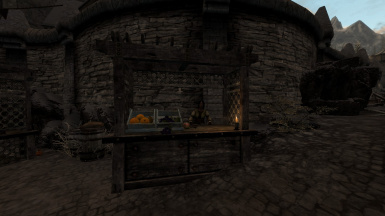 A grocer that sells the lovely new fruits, veggies, and grains found in BS: Bruma. Used assets from Beyond Skyrim: Bruma - probably not wise to rehost elsewhere. Beyond Skyrim team for making Bruma and generally being awesome at everything. I'll confess, this took me less than an hour and it was for my own personal use but I thought I'd upload it anyway. 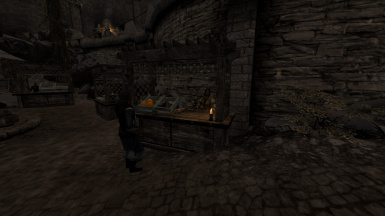 Made up a quick add-on for Bruma that places a grocer stall in Bruma to sell the lovely new fruits and veggies that are found in Beyond Skyrim: Bruma. 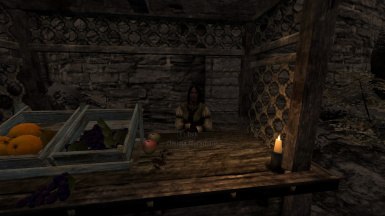 Claudia Marannius is an Imperial woman who runs the stall. 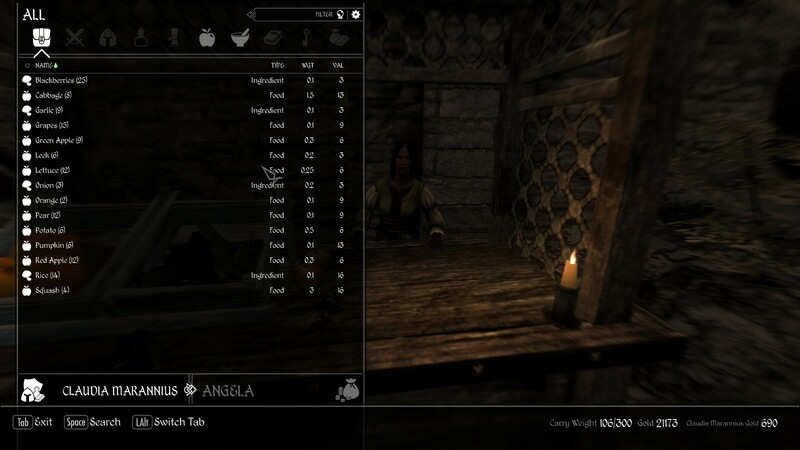 She uses a generic voicetype from Bruma. She will sell you her goods from 8am to 8pm, has a modest sum of gold, and during the nights she can be found loitering around inside the Jerall View Inn. 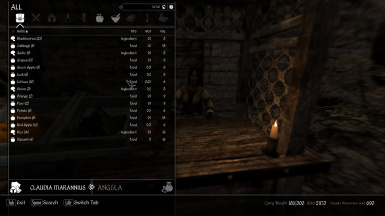 I DO have permission from the Beyond Skyrim: Cyrodiil team to upload this file! As does anyone who makes plugins for Bruma, so long they are dependent on the BSHeartland.esm! This file was for my own personal use but as with most things I thought "why not, I'll upload it to Nexus".